The 32-year-old Scot is the official test driver for Williams, one of the most storied teams on the Formula 1 grid, and one going through something of a renaissance after years of struggle. Wolff asks us: “Have you been in the Williams museum?” We have. It’s where the cars of Ayrton Senna, Nigel Mansell and other legends of the sport are kept on display. Williams finished third in the constructors’ championship last season. The team made more history by inviting Wolff to drive their car in a practice session at the British Grand Prix, although this was frustratingly cut short by “the engine blowing up”. This year, her role has been expanded to include two sessions in free practice at Grands Prix, and two test days. That includes one this week, in which she has been helping the team prepare and set up the car for the 2015 season. “I was only ever offered one chance of driving the F1 car,” Wolff explains as she describes her first experience of the top level of motorsport. She was given 10 laps at Silverstone, and a target time. She made it on the last lap. That test led to the young driver test – an official event where teams can put potential candidates through their paces – and then to the ‘development driver’ role she took up for Williams last year. Now, Wolff is based in Switzerland where she lives with husband Toto. He is the executive director of Mercedes F1 and owns a 10 per cent stake in Williams. Her Scottish accent is liberally scattered with German vowels from years racing in Europe, which lends her voice a slightly menacing tone when she says: “I’m big on revenge.” She follows it up by laughing, because she’s talking about her favourite film – The Count of Monte Cristo – and admits a fondness for TV box sets. “It was frightening first of all,” Wolff recalls when we ask whether she took to karting straight away. “The other karts were much quicker, they were hitting me as I was going past and I certainly didn’t set the world alight with my talent. But I persevered, kept going and got better. I never noticed that I was one of only a few girls doing it because, at that age, you just live for the moment; you don’t recognise things like that. She soon became competitive in karting, and raced against the likes of Lewis Hamilton before moving up to Formula Renault, where she shared a podium with the two-time world champion. The lack of practice perhaps stems from a difficult spell in DTM – the German touring car series home to many former and future F1 drivers. Wolff sums up her seven years in DTM, where she struggled to get results, as “incredibly, incredibly tough”. “I gave it everything I had and didn’t come away with anywhere near the success I expected,” she explains. “It was very demoralising, and it wasn’t until I actually made the decision to leave and actually drove the F1 car that I realised – this is why I’m a racing driver, this is why I love it. 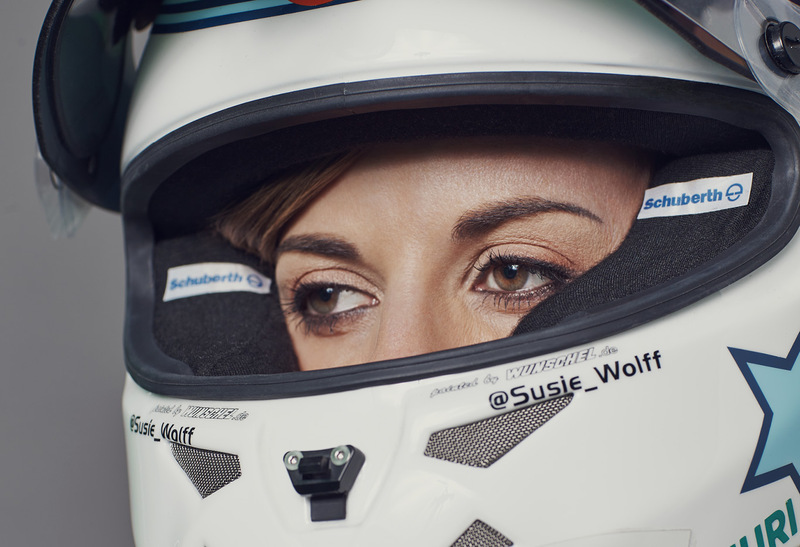 “I was driving a pink car in DTM.” With a hint of exasperation, Wolff recounts her time racing in Germany. “I was like a running target on the racetrack.” The pink car was a sponsor’s idea, but Wolff feels it undermined her attempts to be taken seriously as a driver. 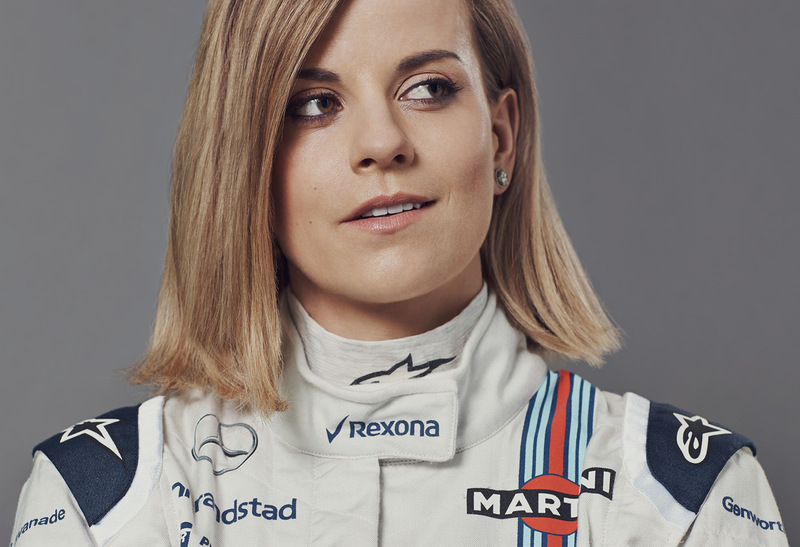 “The hardest part for me initially is trying to earn the respect when I come into a team,” she says when we ask if she has encountered any prejudice as she’s risen through the predominately male world of motorsport. The critics point to Wolff’s record in DTM and her single-seater inexperience (she lacks the FIA Super Licence required to race in F1) and ask whether she has been given the chance at Williams only because she is a woman. But they forget that F1 is not, and has never been, purely a meritocracy. Pastor Maldonado, for example, remains in the sport not just because of his racing talent, but also because he brings millions of dollars of sponsorship money to his team. Does having a unique selling point make it easier to get an F1 seat? Wolff has shown that she is on the pace in her all-too-brief stints in an F1 car. She finished just over two-tenths of a second behind Williams teammate Felipe Massa in her first day of testing the team’s 2015 car. 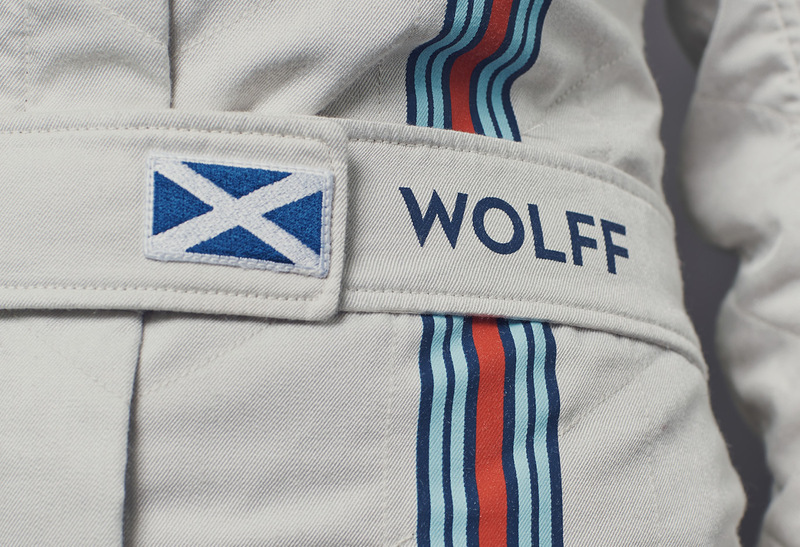 “There was no real role model for me when I was growing up,” says Wolff, although she did have posters of fellow Scot David Coulthard decorating her childhood bedroom. And a membership card for the DC fan club, which must be a difficult thing to admit to. Even if she doesn’t make it on to the grid, the presence of Wolff in F1 is inspiring young girls to take an interest in motorsport. Why can’t we just enjoy Lewis Hamilton?